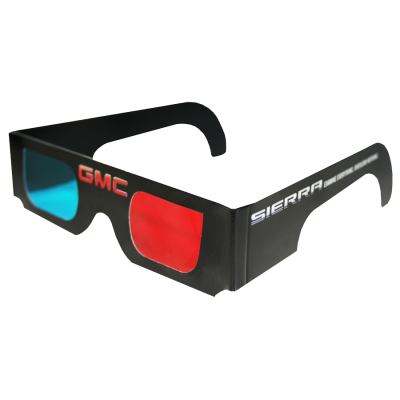 GMC (Sports Illustrated Swimsuit Edition) - More than 6,500,000 3-D glasses were produced for the Sports Illustrated 2007 Swimsuit Edition. The glasses were manufactured with American Paper Optics' exclusive formulation of IYF (In Your Face) red/cyan filters in less than 6 weeks. The glasses were folded and tipped onto an advance four-page spread and later bound into the SI publication at six different fulfillment plants across the U.S.